Today is the end of the longest and one of the most painful weeks of my life. 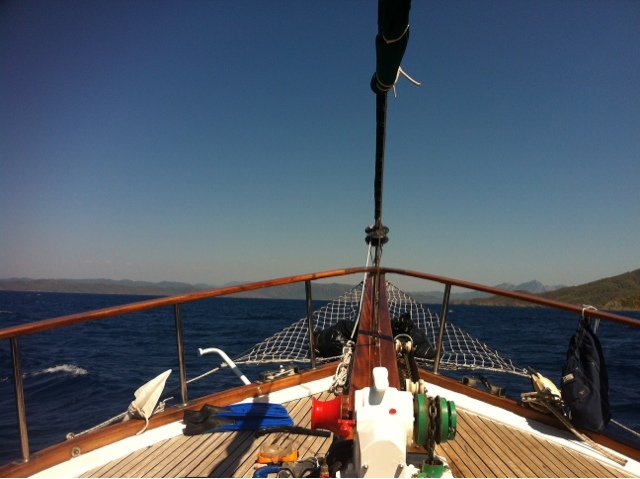 A month ago I was busy packing to go on a holiday to Turkey, a week in a tradition boat called a Gullet. It was a surprise for my Mums 60th birthday and organised by my step-father, Nigel. We had the best time, relaxed, swam, ate and just watched life go by. Life was good... We came back and resumed everyday life with that post holiday glow and slowing fading tan. Then last Sunday, the phone call. You know when someone rings that something is wrong but the words are so unreal. Nigel died in a motorcycle accident on Sunday 9th September. I have spent the week with my mum, organising things, putting the kettle on again and again and cooking meals at regular intervals. I'm not sure it's real still... It just shouldn't happen. Nigel was a wonderful, kind man (deaf and diabetic) but good humoured and great company and I will always miss him. If this week has taught me anything it is- to live each day as if it could be your last and tell everyone you love just how much they mean to you.